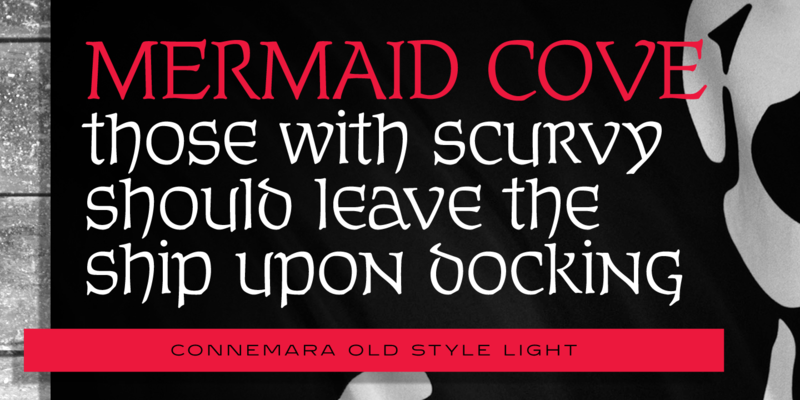 Connemara Old Style is an insular uncial font family that was created and produced in 2010 by Steve Jackaman (ITF) and Ashley Muir. 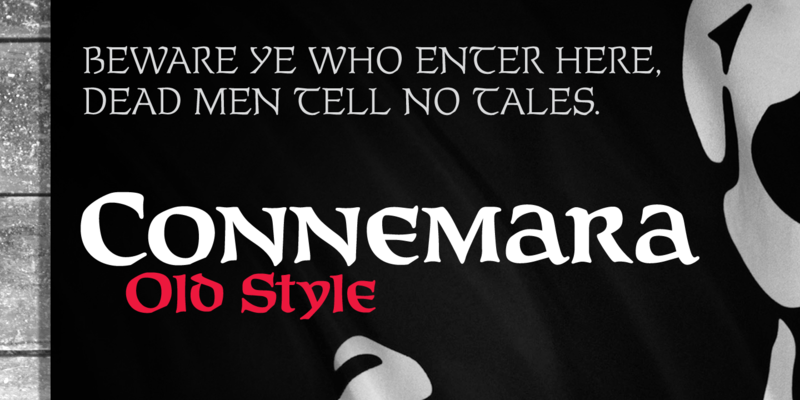 Insular uncial traditionally was used in Irish, British, and English texts from the 4th to 8th centuries AD. 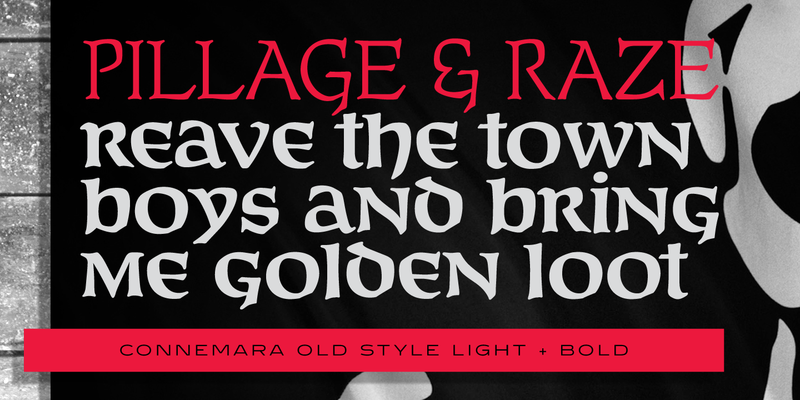 True to its roots, Connemara Old Style has a Celtic feel and maintains distinct word spacing. The family is built with superior legibility in mind, and its broad, bold strokes showcase well at display and subhead sizes. 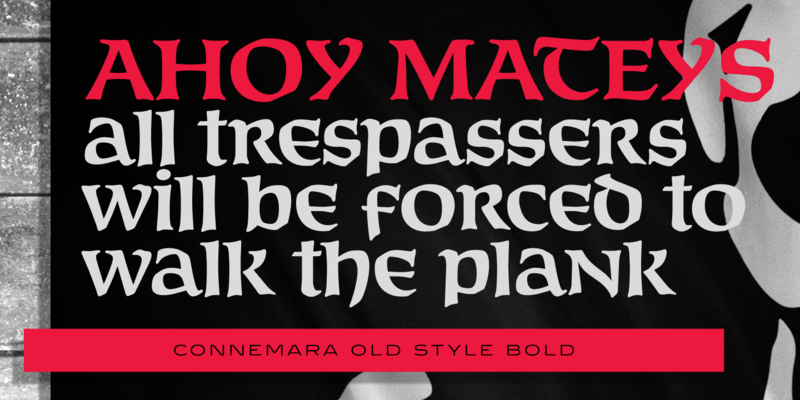 Connemara Old Style is a trademark of International TypeFounders, Inc.